Medical products injure 1.5 million consumers every year, resulting in more than $4 billion in medical bills and other damages. Like any company, those involved in the drug and medical device industries have a duty to ensure that their products are safe and effective, and they must provide doctors and patients with adequate warnings about their risks. 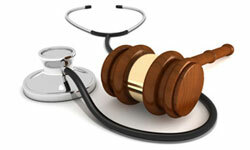 When a patient is harmed, they may be entitled to compensation for injury-related damages. Pursuing a lawsuit against those who marketed, manufactured and distributed a dangerous drug or medical device is often the most effective way to ensure that proper restitution is made. Given that information, one might wonder how much consumers spend each year on prescription medications, and how many individuals have suffered side effects stemming from the thousands of health care products on the market today. What we do know is that product liability lawsuits are continuing to be filed in the U.S. by those who seek compensation for the out-of-pocket expenses incurred by their alleged injuries. Despite having been designed to improve a person’s overall quality of life, the side effects associated with some medical devices on the market today have had the opposite effect, according to lawsuits filed against their manufacturers. A number of metal-on-metal hip replacement implants in the media recently have allegedly forced recipients to undergo revision surgery, for example, after resulting in pain, symptoms associated with metallosis (metal ion poisoning) and other adverse tissue reactions. They may also affect thousands, if not millions of people. It is estimated that approximately 93,000 DePuy ASR metal-on-metal hip replacement implants were sold in the U.S. prior to their recall in August 2010, after they were found by a British hip registry to result in excessively high failure rates in recipients. The companies that manufacture, market and distribute consumer products have a duty to ensure that they are safe for their intended use. When design or manufacturing defects cause harm, those affected may be entitled to seek restitution by filing a consumer products lawsuit. Consumers can also take legal action when a company has failed to provide the public with adequate warnings about a product’s dangers. Over the years, product liability lawsuits have allowed individuals to hold large companies accountable for the sale of dangerous consumer products that could potentially harm thousands of people. Vaccine injuries, while rare, do occur. The National Vaccine Injury Compensation Program (NVICP) provides compensation to individuals who suffered serious side effects and complications from 16 covered vaccines, including the seasonal flu vaccine, the HPV vaccine, and the hepatitis A and B vaccines. Since 1988, the program has paid out over $3.9 billion. More 1,200 vaccine injury claims were filed with the NVICP in 2017, the most in a decade. If you experienced serious or life-threatening side effects after exposure to a defective drug or medical device, you may be eligible to seek compensation for out-of-pocket medical expenses, lost wages, as well as any pain and suffering you may have been caused. It is imperative that you choose the right lawyers to help successfully litigate your potential case. When you start the process of filing your case, you want an attorney who is well-versed in this area of law, and understands the difficulty of your situation. Armed with experience and dedication, the right attorney can walk you through the legal process. A class action lawsuit involves similar claims brought together by several plaintiffs. These cases may include a group of individuals who suffered the same injuries from a particular product. A multidistrict litigation may coordinate a number of lawsuits in a single proceeding. It may be in your best interest to file an individual lawsuit, rather than join a class action, however, as these claims are designed to equalize financial losses of numerous members of the case. If this is your first time filing a lawsuit, it is likely that you may be curious about how much compensation you may expect to receive, how long you have to file a claim, how much you will be asked to pay in legal fees, and other areas of the legal process. InjuryBeacon works to get those questions answered.